1) A tax-exempt buyer said there's no way for her to make a purchase without eBay collecting sales tax. "I was told to go to the state to request a refund, but my state's policies don't allow me to request refunds for less than $500 and only allows two requests/yr." She indicated eBay has no mechanism for tracking exemptions. 2) There are reports that eBay has turned off the ability for sellers to create a tax table for Minnesota (MN) because eBay collects for sellers who meet the MN limits on eBay. That spells trouble for multi-channel sellers whose total sales to the state require them to charge buyers sales tax but whose total sales on eBay are under the limit, leaving those sellers unable to comply with the state's requirements. 3) There are reports eBay is not collecting the correct amount for Washington state, where there are multiple jurisdictions - see this letter to the editor. Here's eBay's help page on sales tax which doesn't address these issues. We sent an inquiry to eBay this evening to see if it is aware of any issues; whether it is communicating those issues to sellers; and if eBay customer service reps are prepared to help sellers who encounter such issues. We'll update this post if and when we hear back. eBay can't keep anything running smoothly on its site, so why would anyone think they could get the sales tax collection correct? For a number of states, it's complicated to get it right. I'm sure eBay is going to end up keeping a substantial amount of money because it will be over-charging buyers or collecting tax where none was applicable. Collecting Sales Taxes and remitting them usually requires an entire department of very knowledgeable personnel and we already know that Ebay can't hire anybody with decent talent anymore as they just laugh when Ebay makes an offer that is substantially lower than anybody else would pay. Wenig needs to take a major pay cut and then hire some decent talent for that company including programmers who can fix all the problems created by his off shore money grab of hiring programmers who have no ability to create what they needed. Hal Lawton saw that this program was never going to work and that Wenig was never going to spend what needed to be spent to fix it and got out while the getting was good. I wonder how many more executives will be leaving in the near future? I am sure most will try and bail before Wenig runs the company into the ground trying to avoid being fired or forced out by the shareholders who now see what a joke he is as a CEO. Bad enough that I am being charged WA sales tax on items bought for resale, but also being charged 10% when the actual rate for my location is 8.6%. I strongly suspect that when eBay remits sales tax to Washington DOR they will remit the correct amount and criminally keep the rest. My Washington State buyer was charged sales tax tonight on the invoice. I could not remove it. I added Ebay's statement to my invoice, so they would know it was not me making a grab for extra money. I am sure buyers will think that and for buyers who are using Buy It Now, and see tax on the invoice, may not complete the sale. This is Ebay's statement:"We collect sales tax in accordance with applicable state law. You no longer need to collect and pay it to the state." Time for Congress to step in and change this monstrosity of a law. The issue is more simple than you may think. In order for eBay to charge and collect sales tax in any state or local, they need a certificate of authority. They also must abide by the taxing laws of those states and localities. You can rightfully demand to see a copy of the certificate and should eBay refuse, it is a felony in most states. eBay must also report all revenue collected and those reports are available to the public. It comes down to whether those complaining are willing to step up and file the necessary complaints to put the heat on eBay. Why is anyone surprised? We knew that it was going to be a mess as it was discussed here many times. The mess is here, just as predicted. Just wait until eBay takes over our paychecks. They can’t manage anything properly. Since eBay started collecting and remitting sales taxes for Minnesota effective 1/1/19, it makes sense that sellers can no longer create a Minnesota tax table. A state's sales tax limits are total sales, not sales per channel. Ebay couldn't collect apples in a basket never mind complex sales tax. I saw this coming and shut down my ebay business last July for good. I didn't trust my selling partner ebay who is not longer just a venue. I hope their tax collection and submission of same lands them in Federal Tax Court with Winer at the front. Ebay will most certainly screw this up. Dear Ina, as per @Go tell the Spartans's brilliant comment about eBay's need to produce a certificate of authority to prove that they are authorized to collect these taxes on purchases: I believe that I would be a great service you can do to us all here if you yourself, as leader of this extraordinary blog, could broach the subject with eBay and ask them for said certificate. Yes, us eBayers would all love to ask them, ourselves. However, many of us depend on eBay for our businesses and, rightfully, fear to put that at risk by asking such probing questions of eBay. Can you Ina, ask eBay for such a certificate of authority granting them permission to collect sales taxes? I'm certain that we would ALL appreciate you doing so as this is, now, basically utmost in our concerns and worries in navigating the doing of business on eBay. Thank you. 1. Is a mess and hopefully this darn thing will be fixed very soon. 2. I think the seller misunderstands. Ebay is doing what they are mandated to do as a facilitator under the laws for their state. Ebay has no knowledge of ANY sellers total income. To do that Ebay would have to REQUIRE all sellers to report to them all their income from other sites or whatever. That isn't going to happen. The rules in which they are operating under does not recognize $$ thresholds for ANY given seller into any given state. 3. I've seen this too. It appears to me, however I do not know for sure, that there may be one rate they are charging for the entire state. If that assumption and it is an assumption is correct, then some will be undercharged for the exact location of the buyer and some will be overcharged per their specific location rate. 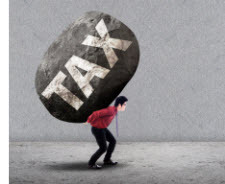 It just seems to me that to reduce the enormous burden it takes to collect, track and pay the taxes to the appropriate states that they would not make them also track specific locations. Seems to me it would be extremely complicated to have to comply with specific city and county locations as well. BTW, just as an additional observation. If a sale on Etsy is taxable and paid for through Etsy's payment program, they do charge a payment processing fee for the amount they charge the buyer for Sales tax. Ebay, when processing the payment through PP does not do this. I don't know about the managed payment program since I'm not in it. @SenseiSez - Great idea - excellent reason why us on eBay cannot ask for proof from eBay without fear of repercussions! Imagine if eBay cannot provide documentation of their authorization to collect sales tax. They would then HAVE TO STOP COLLECTING the TAX!!! Otherwise, there would be more than a few of us who then would write the appropriate Attorneys General to alert them to eBay's fraud. We can do something to effect this change! So please, Ina, contact eBay and ask them for this proof that we need. @Marie - Does eBay have proof of this mandate to collect this tax? Let eBay prove it. I, for one, do not need eBay to 'do me a favor' and save me the time and effort to collect and forward these taxes. I would do it myself, if that has to be the case. At least I'd be sure that all would be on the up-and-up, with no funny business. Yes, in regards to eBay, I never believe that they do anything for sellers' benefit. I may be wrong but, no matter, that's what I believe. YES as does anyone that cares to take a peek. @Marie - Gee, I read the info on the link you'd provided. But, that's just the tax tables for Washington State. Nothing is noted on the link that you'd thoughtfully provided stating that eBay has the authority ... Certificate Of Authority. So, once again: I'll bet that eBay DOES NOT HAVE LEGAL AUTHORITY TO COLLECT STATE SALES TAX. Where's the proof! We can write to financial sites such as SeekingAlpha.com and MarketWatch.com and ask that question ourselves. ALSO: YahooFinance.com is another site that'll get a lot of play. Write 'em. Ebay, Amazon, Etsy and the rest of them are not named in the law. They are the definition of what a FACILITATOR is, which is named in the law. @Marie - Yes though, we ALL are aware as to how eBay most certainly is a facilitator, yes a facilitator in some of the practices that some under-handed buyers perpetrate. But, that's another story, not this story. Meanwhile, that link and release from the Washington State website is NOT a Certificate of Authority granting eBay permission to collect tax. Nice try, though.